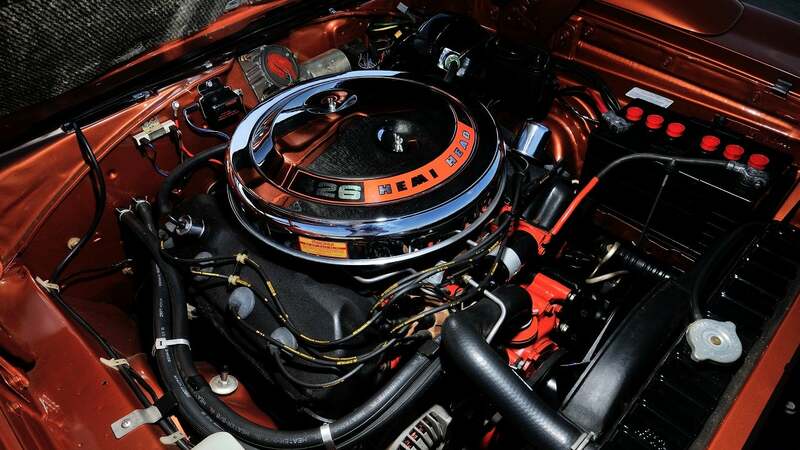 Of the 503 Dodge Charger Daytona's built in 1969, David Spade's new ride is one of just 20 that feature the 426/425 HEMI V8 and 4-speed manual transmission combo. Joe Dirt just dumped $900,000 on a very clean car. 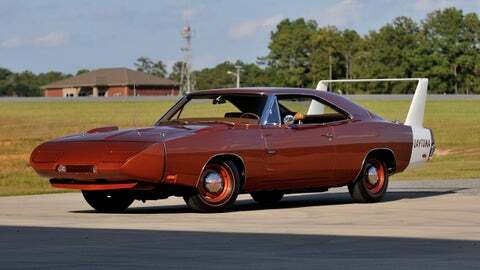 TMZ has outed actor David Spade as the winning bidder for a perfectly restored 1969 Dodge Charger Daytona at a recent Mecum Auction event. It was the highest price ever paid for the model at auction, and a very rare version. Of the 503 Daytona’s built in 1969, it’s one of just 20 that feature a 426/425 HEMI V8 and 4-speed manual transmission combo. The wild-looking Daytona, with its aerodynamic nose cone and gigantic rear wing, was built as a homologation special for NASCAR, which eventually banned it. It was the first car in the series to break the 200 mph barrier, but wasn’t as successful in showrooms. 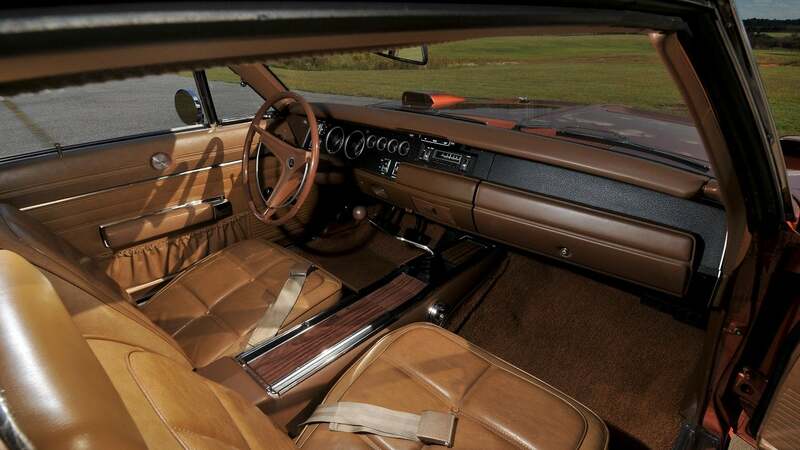 Spade’s character drove a phony Daytona beater in the 2001 comedy film "Joe Dirt" that was the complete opposite of this Copper Metallic masterpiece, which has just 6,435 miles on its original engine and may be the best example of its kind in the world. The movie car last sold in 2002 for a reported $18,000 bucks. Spade told US Weekly "I don’t even know if I will drive this car around. It’s too nice for me. I’m just going to wake up every morning and spray it with Armor All. Or I’ll just drive it to the Beverly Center and stand on the hood." Or maybe he can drive it to the premiere of Joe Dirt 2, which is scheduled to be released on Crackle later this year.